Summer break might be over, but we are savoring the sweet taste of summer for as long as possible. Just before the break ended we threw a little pineapple themed party (more on that to come soon!). 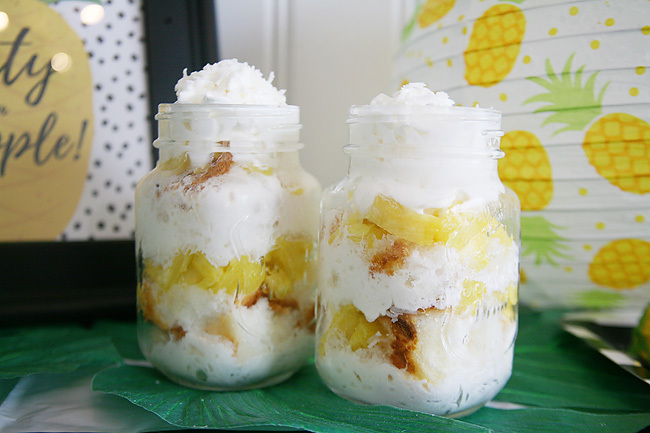 We had several pineapple infused foods and sweet treats to offer guests, but this Pineapple Coconut Parfait might be my favorite of them all! The dessert was so easy and so tasty that I have made it again a few times, and once with a little twist for breakfast. The recipe is a spin off of one Carrie Beth shared last spring. 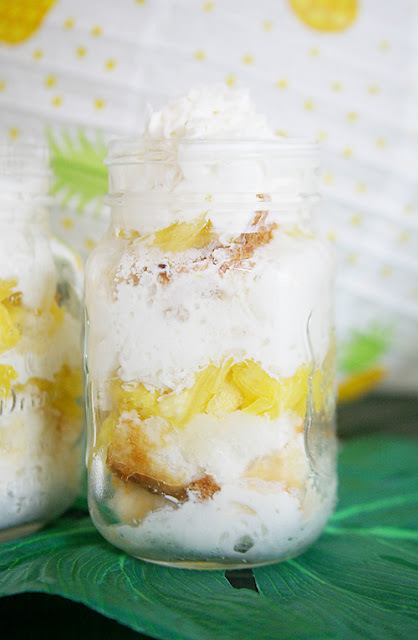 Her Strawberry Shortcake Parfait recipe is always a crowd favorite so I was excited to see that it was just as tasty with a little pineapple twist. 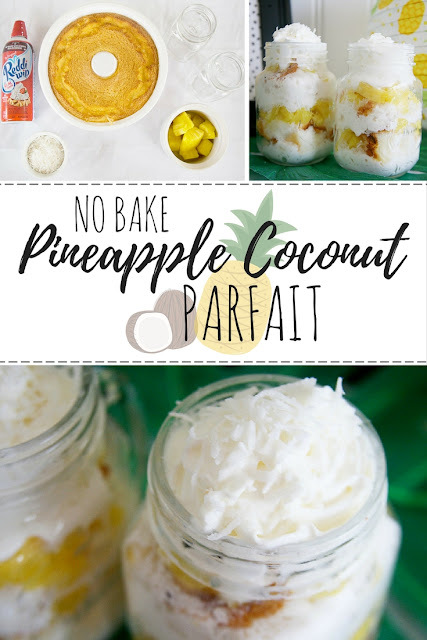 Throw in a little coconut to the mix and it is to die for yummy! 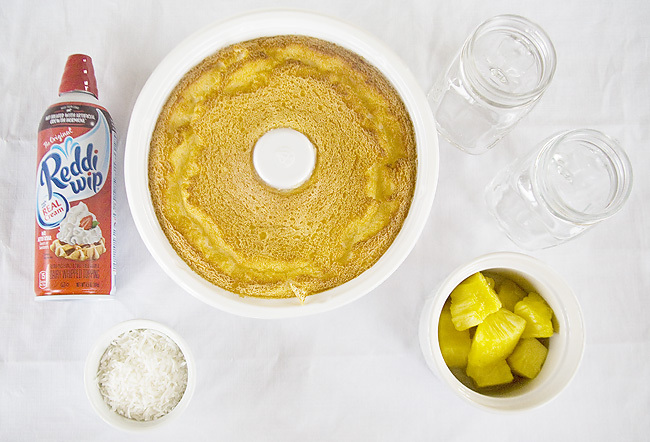 Dice pineapple and set aside in a medium sized bowl. Cut a large slice of the Angel Food Cake and the break into large pieces. 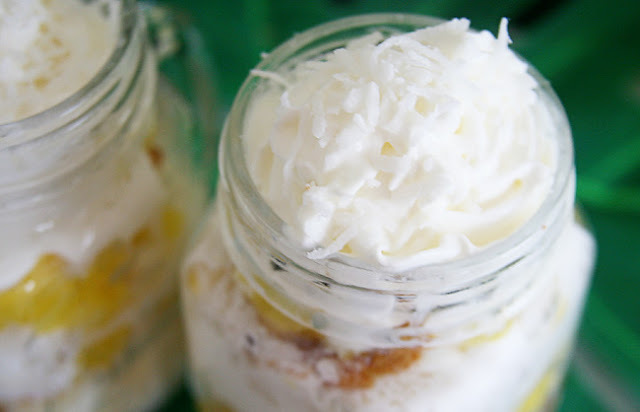 Line the bottom of your mason jar (or other dessert dish) with a generous amount of whipped cream. Place pieces of Angel Food Cake on top of whipped cream. Spoon a layer of pineapple on top. Sprinkle with shredded coconut. Repeat layers until all the way to the top. As a bonus I tried making this one morning for breakfast and it was just as yummy! I replaced the whipped cream with coconut flavored yogurt (this one is my favorite) and it was the perfect little treat to start my day. Now I am all about the parfait. Do you have a favorite parfait recipe? I need more parfait in my life so please share!